Spectral Decomposition - GeoModeling Technology Corp. When seismic data is decomposed into individual frequency components, as is done in spectral decomposition, some subsurface features, such as channels, can be distinguished at certain frequency components. There are several ways of performing spectral decomposition of seismic data in terms of the mathematical method adopted, such as short-time Fourier transform (STFT), continuous wavelet transform (CWT), S-transform etc. Each method has its own strengths and weaknesses. Seismic data, especially 3-D seismic data, are critical and indispensable in many cases. However, its significance and degree of trustworthiness vary among geoscientists, especially geologists. The disparity could be greater if the target area has good drilling coverage. This is because the seismic data is a collection of subsurface events, which include reflections, diffractions, and refractions, as well as noise and other factors unrelated to subsurface geology. Though spectral decomposition of seismic data may reveal and enhance geological features, it can also introduce artifacts and uncertainty. The author’s article in the February 2014 issue of the EXPLORER explained the most significant artifact, the so-called side-lobe effects, which are the extra events caused by the algorithm employed rather than by the subsurface geological features. In that article, a new method was introduced to suppress these artifacts. The essential idea was to use a wavelet extracted from the acquired seismic data itself to do the decomposition, which is data-adaptive because the extracted wavelet is different in different datasets and in different areas. The results show better images due to largely reduced artifacts. 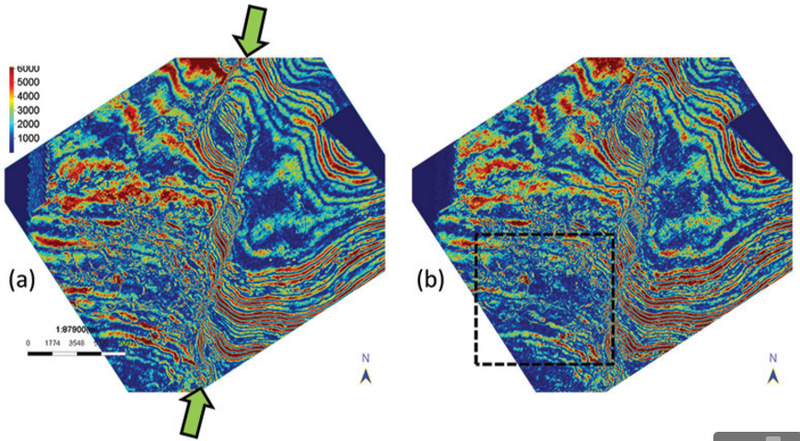 The subsequent research and applications indicated that a single wavelet used to do spectral decomposition is often not adequate, because the wavelet can and often does change spatially, even in the same dataset, as seen in figure 1, where the space-varying wavelets extracted from seismic data in Taranaki Basin, New Zealand are shown. This article is published in the Geophysical Corner of AAPG Explorer, May 2016 by Dr. Rongfeng Zhang, a Senior Research Scientist at Geomodeling Technology Corp.